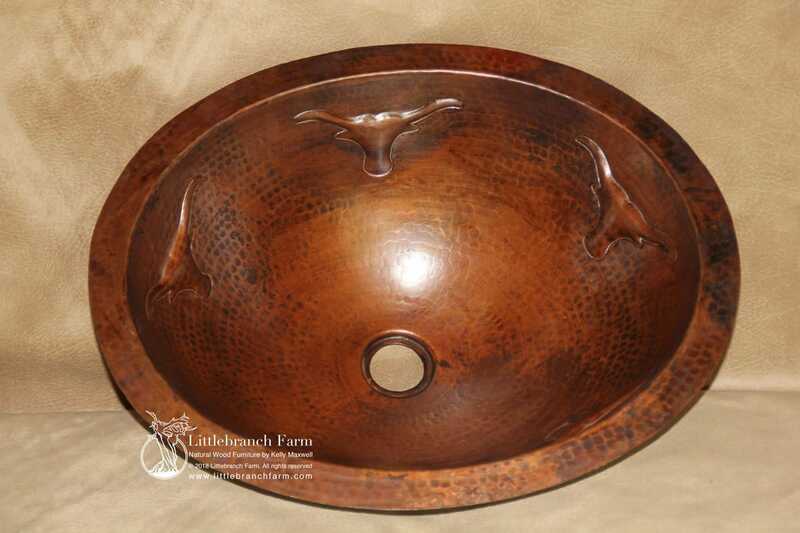 Texas longhorn copper sink. Available in two shapes: oval and circle. 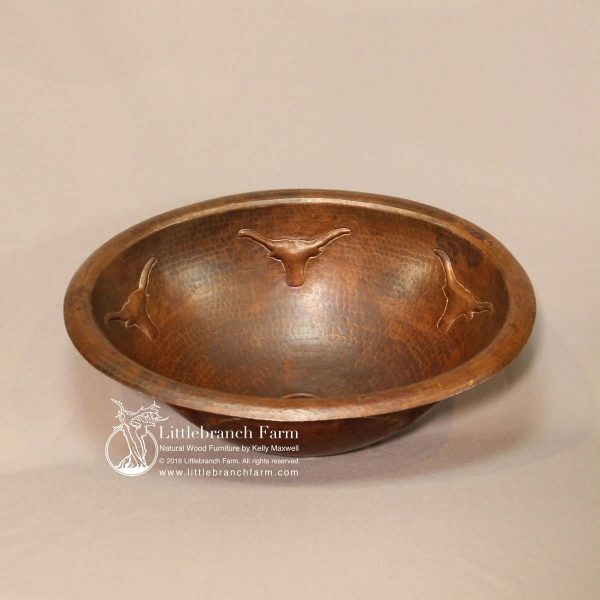 Oval shape dimensions are 19″ x 14″ x 5.5″ and the circle dimensions are 17″ x 7″. 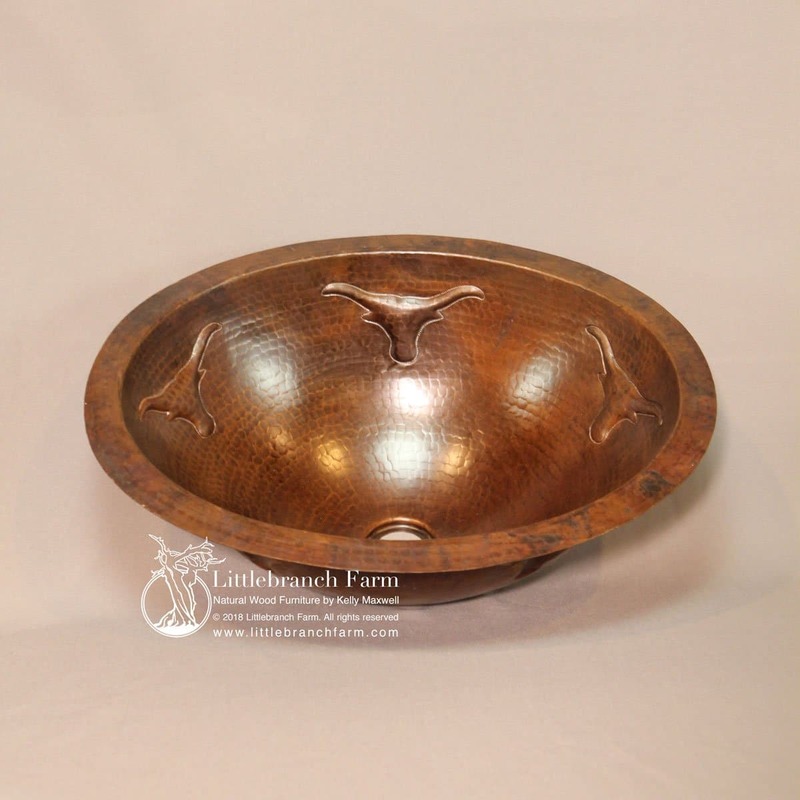 Texas longhorn copper sink made from heavy gauge copper. 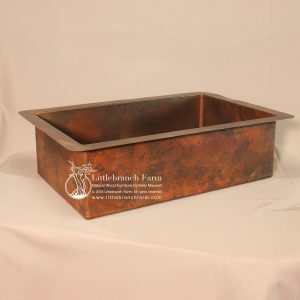 Also, it has a natural patina and hammered copper finish. 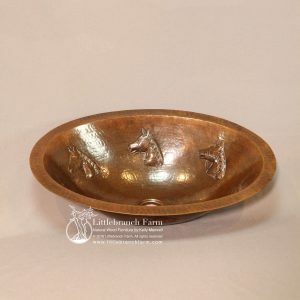 Reminiscent of the Texas open range and cattle drive this copper bathroom sink is perfect in a rugged rustic decor. 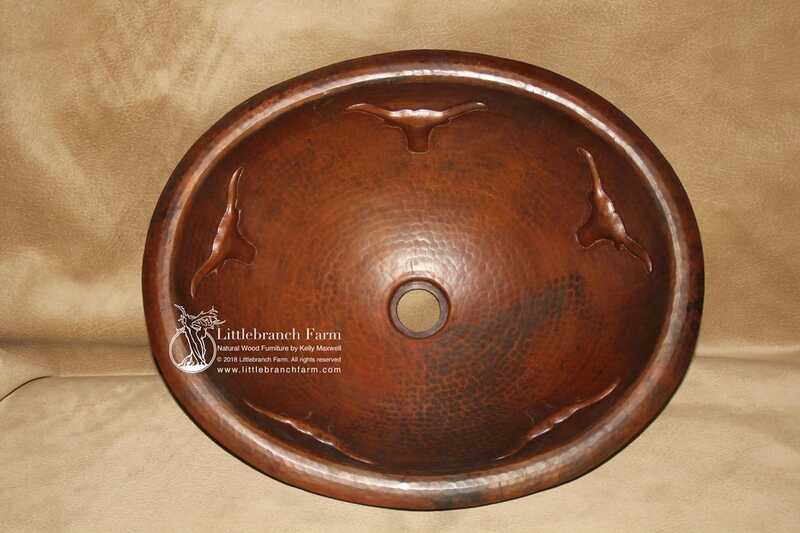 This style sink is available in round and oval along with a rolled top mount and under mount sink. 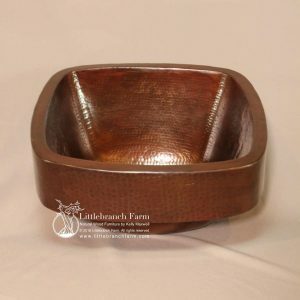 These natural copper sinks also look great in our rustic bathroom vanities whether built from a tree stump or live edge wood. We also offer custom natural wood furniture such as live edge tables and rustic beds made from live edge wood slabs.